Twitter and the Internet are on fire with many articles from a variety of sources revealing that Franken did indeed sexually assault LeeAnn Tweeden while she slept with demands for his immediate resignation with Democrats among them. Now a second victim, Melanie Morgan, says she was a victim of Franken. Media Equalizer Co-Founder Melanie Morgan has come forward as well, recounting her own experience with the onetime comedian, liberal radio host and activist. Morgan’s disturbing encounter was sparked by daring to disagree with Franken during an August, 2000 edition of ABC’s Politically Incorrect with Bill Maher. Senate Majority Mitch McConnell, R-Ky., called on the Senate Ethics Committee to review the allegations and said he hoped Democratic leader Chuck Schumer, D-N.Y., would support that. There is a picture of a sexual assault. 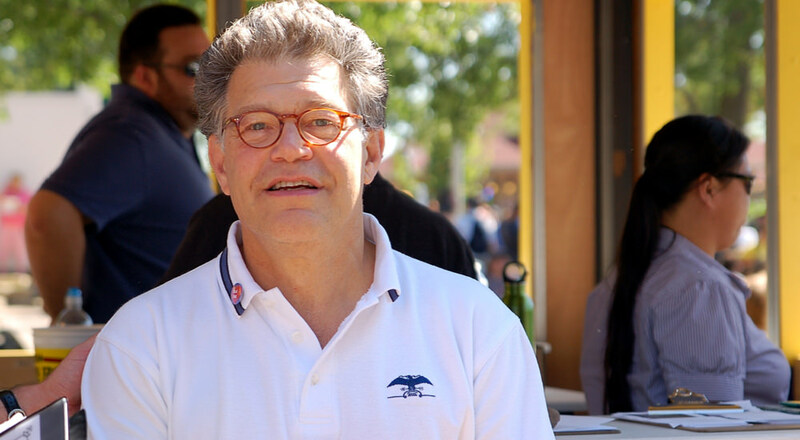 Senators should call for Franken’s resignation. Sen. Kirsten Gillibrand, D-N.Y., said Thursday that allegations that Sen. Al Franken, D-Minn., sexually assaulted a radio broadcaster in 2006 are “deeply concerning” and expects to hear an explanation. Gillibrand said she believes Leeann Tweeden after she alleged that Franken kissed and groped her during a USO tour in 2006. A woman just accused the Minnesota senator of sexual misconduct. If he’s really an advocate for women’s rights, he should step down. After initially trying to sidestep the matter, the party offered harsh condemnations and then calls for an investigation into one of their own. The other women agreed that sexual harassment is not a partisan issue and should be condemned on all sides. Bring Your Gun to Church WeekNaked Truth about the Judge Roy Moore Allegations - Must Read!